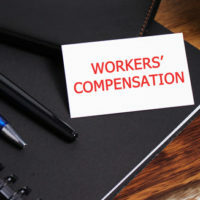 New York has had a strong workers’ compensation program for a number of years, and with New York’s recent budget approval, more good news is on the way for injured workers, or so proponents of the reform would have you believe. Reform has rarely meant good change, for the worker anyways. Often, workers’ compensation reform has lead to reduced benefits for workers while only helping insurance companies and employers. The recent reform, as part of the 2017 to 2018 budget, seeks to find a common ground between employers/insurance companies and injured workers, but could end up falling very short for employees. Businesses across New York are expected to save hundreds of millions of dollars in the form of rebates at the end of the year, as well as lower premiums throughout the years to come. Governor Andrew Cuomo said that, “With this budget, New York is once again leading the nation and showing what responsible government can achieve,” according to the Insurance Journal. He went on to say that the budget invests in the middle class, strengthens the economy and creates opportunities for everyone. Among changes to the way that drugs are prescribed, as well as changes for first responder benefits, one of the budget’s major highlighted aspects is a credit provided to insurance carriers for temporary benefits that are provided beyond a specific period of time. Specifically, under the reforms, insurance carriers may receive a credit against the maximum benefits payable for partial disability for any periods of temporary disability paid beyond two and a half years. With the addition of a “safety valve,” injured workers can now apply for an extension if necessary. Additionally, the old system only allowed workers who were deemed 80 percent injured to apply for permanent benefits once their temporary benefit window ran out. That threshold has been lowered to 75 percent injured under the new system, making room for thousands more seriously injured and disabled workers to be accepted. However, a less-talked-about part of the reform is that it requires that the Workers’ Compensation Board issue new medical impairment guidelines, which have not yet been created. These impairment guidelines are expected to reduce benefits for injured workers, providing them with less compensation, less time to recover, and fewer medical benefits. An advisory committee is to recommend the new guidelines for loss of limb or permanent limb damage. Proponents of the reform argue that with advanced technology, it is now easier to work with a disability, such as an amputated arm, and therefore injured employees should not be compensated as highly as in the past for such injuries, according to Crain’s New York Business. If you were injured on the job, reach out to the White Plains Law Office of Michael Lawrence Varon today to speak with a workers’ compensation attorney today. We are eager to assist you throughout each step of your case.